Hello from Bates! Here’s a listing of public events at the college for March 27-April 28. 4:10pm Mon-Fri | Mindfulness of Breathing: The Dharma Society’s Buddhist meditation sessions take place most weekdays when school is in session. (Bates is on break April 15-20 this year.) FMI 207-786-8272. 4pm | Softball vs. Thomas (doubleheader). 6pm | Life drawing: Sponsored by the Museum of Art each Wednesday while Bates is in session. Dry-media easels and drawing benches provided, bring drawing board and supplies. $7. FMI 207-786-6158. 7pm | Women’s lacrosse vs. Bowdoin. 7:30pm | Ron Currie Jr., a Waterville native and current resident, is the award-winning author of God Is Dead, Everything Matters! and the new Flimsy Little Plastic Miracles. He reads from his fiction in a Language Arts Live presentation. FMI 207-786-6256. 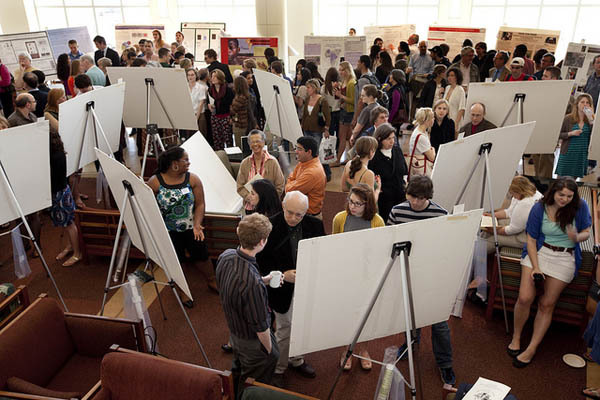 4:15pm | Prospects and Pitfalls of Conducting Economics Experiments in a Liberal Arts Setting. Jordan Suter is a professor of environmental economics at Oberlin. FMI 207-786-8296. 7:30pm | The Poets and the Assassin. At Bowdoin College, Bates Senior Lecturer in Theater Kati Vecsey directs an all-Bates cast in a production of Reza Jalali’s play about women in Iran. Discussion and reception follow the performance. FMI 207-786-8294. Mount David Summit 2010. Photograph by Phyllis Graber Jensen/Bates College. 1:30pm | Mount David Summit: The 12th annual celebration of student academic achievement features research presentations and discussions, literary readings, exhibitions and screenings, performances and more. FMI bates.edu/summit/. 7:30pm | Les Miserables (2012; 158 min.) Presented by the Filmboard. $1. 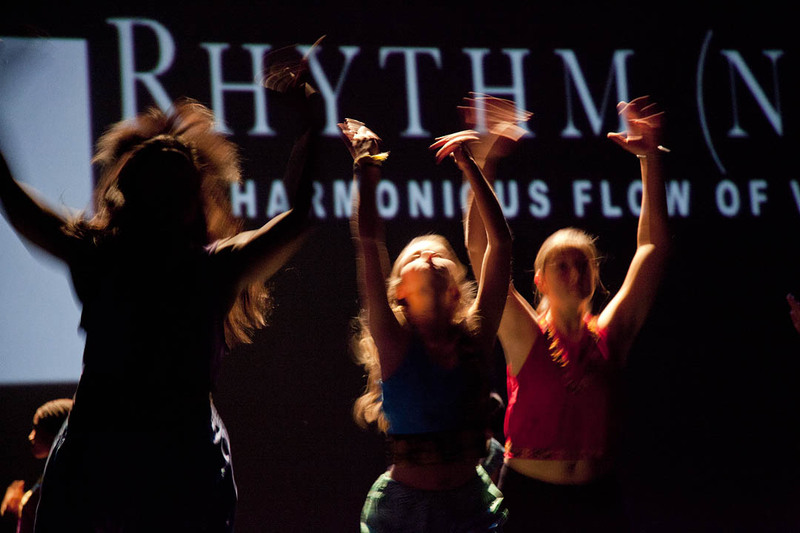 7:30pm | Spring Dance Concert: A showcase of work by student choreographers, including thesis projects by dance majors. Admission: $6 / $3, available at batestickets.com. FMI 207-786-6161. 8pm | Bates College Choir, conducted by John Corrie, performs Fauré’s Requiem and Lauridsen’s Lux Aeterna. Free, but tickets required. FMI 207-786-6135 or olinarts@bates.edu. Noon | Women’s lacrosse vs. Williams. 2 & 7:30pm | Les Miserables (see March 29). 5pm | Spring Dance Concert (see March 29 or look here). 5:30pm | Catholic Mass led each week by Fr. Paul Dumais of the Prince of Peace Parish, associated Catholic chaplain. FMI 207-786-8272. 8pm | Bates College Choir (see March 29 or look here). 2pm only | Les Miserables(see March 29). 2pm | Spring Dance Concert (see March 29 or look here). 5:30pm | Protestant worship with gospel singing led each week by Stephen Saxon. FMI 207-786-8272. 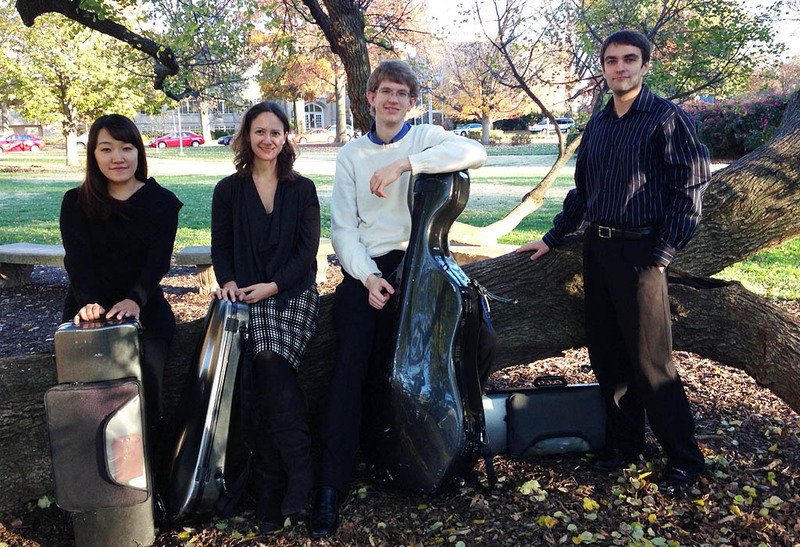 7pm | Larchmere String Quartet. Eykamp String Quartet in Residence at the University of Evansville in Indiana, the quartet plays Haydn, Barber and Dvorak. Admission is $12, available at batestickets.com. Free tickets are available for the first 100 students and seniors by reservation: olinarts@bates.edu. FMI 207-786-6135. The Bates Dance Company. Photograph by Phyllis Graber Jensen/Bates College. Noon | Musical Outreach Undertaken Using Resources from a Grant From the Harward Center: This presentation by music faculty members William Matthews and Dale Chapman is a Harward Center for Community Partnerships Public Works in Progress event. FMI 207-786-6202. 7:30pm | Spring Dance Concert (see March 29 or look here). 8pm | New music composed by Lea Goodman-Herrick and presented in her senior thesis concert. FMI 207-786-6135 or olinarts@bates.edu. 4:30pm | Between Empire and Nation: Muslims, Christians and Jews at the End of the Ottoman Empire. A talk by Michelle Campos, who teaches modern Middle Eastern history at the University of Florida. FMI aakhtar@bates.edu or jbelive2@bates.edu. 7:30pm | Computer music composed and performed by students. FMI 207-786-6135 or olinarts@bates.edu. Jazz Band director Tom Snow. 4:30pm | Voice recital by students of Luette Saul. FMI 207-786-6135 or olinarts@bates.edu. 6pm | Life drawing (see March 27). 7pm | Bates Jazz Band. Directed by Thomas Snow. Free, but tickets required. FMI 207-786-6135 or olinarts@bates.edu. 7:30pm | Voice and speech performance. Students in Katalin Vecsey’s voice and speech course perform their final project. FMI 207-786-6161. 12:30pm | Wind players from the Portland Symphony Orchestra discuss and demonstrate their instruments in an all-ages event. Free, but tickets required. FMI 207-786-6135 or olinarts@bates.edu. 7pm | Bates Steel Pan Orchestra directed by Erica Butler. Free, but tickets required. FMI 207-786-6135 or olinarts@bates.edu. 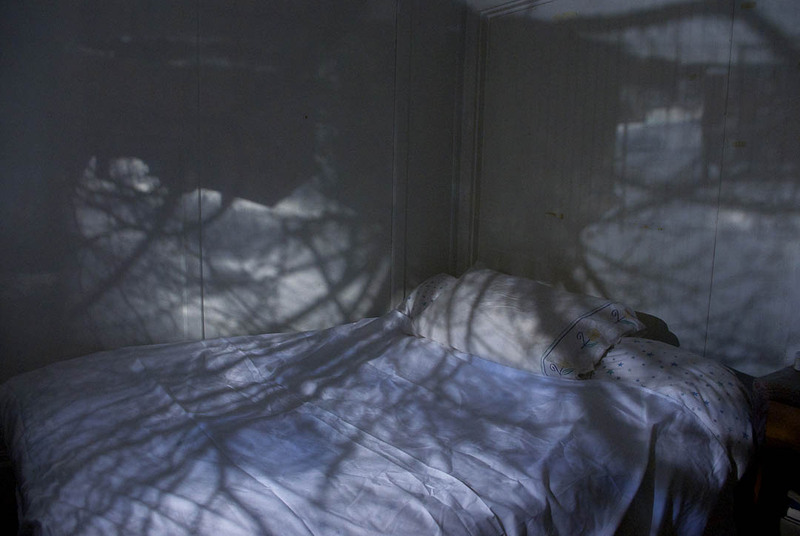 An untitled camera obscura image by Eleanor Anaclerio, on display in the Senior Thesis Exhibition. 3pm | Baseball vs. Bowdoin. 4:30pm | Growing With Destruction: Selective Protein Degradation and Picornavirus Replication Success. T. Glen Lawson, newly appointed as Charles A. Dana Professor of Chemistry, offers the Dana Professorship Lecture. Reception follows. FMI 207-755-5978. 6pm | Senior Thesis Exhibition 2013 opening reception (see Museum of Art, below, or look here). FMI 207-786-6158. 7:30pm | 359°: Dance major Zoë Fahy performs her site-specific senior thesis project at the Bates Mill Complex above Museum L-A. She performs the 20-minute piece at 7:30 and 8pm, with a short intermission for Q&A. A student shuttle to the mill leaves from the steps of Chase Hall, 56 Campus Ave., at 7pm. Admission is free, but tickets are required: batestickets.com. FMI 207-786-6161. 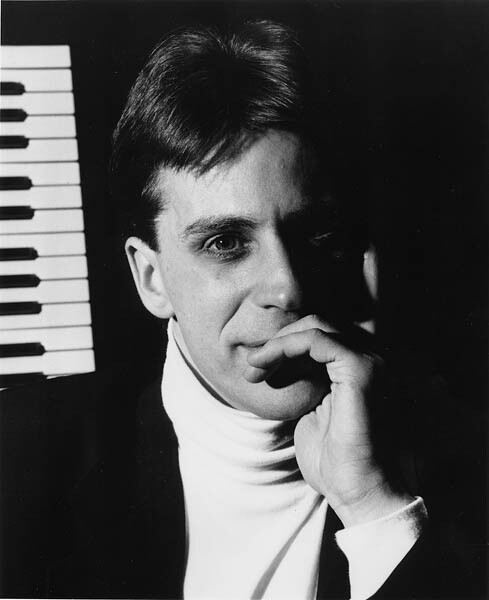 Bates Mill Complex, 35 Canal St.
7:30pm | Frank Glazer retrospective: The pianist concludes his season of favorite music from 32 years of Bates performances with two works by Beethoven: the Diabelli Variations and the Sonata No. 29 in B-flat major, Op. 106 (“Hammerklavier”). Admission: $10, available at batestickets.com. Free tickets are available for the first 50 seniors and students: FMI 207-786-6163. 7:30pm | Silver Linings Playbook (2012; 122 min.) Presented by the Filmboard. $1. Noon | Men’s lacrosse vs. Hamilton. 5:30pm | Catholic Mass (see March 30). 2 & 7:30pm | Silver Linings Playbook (see April 5). 3pm | Bennewitz Quartet. 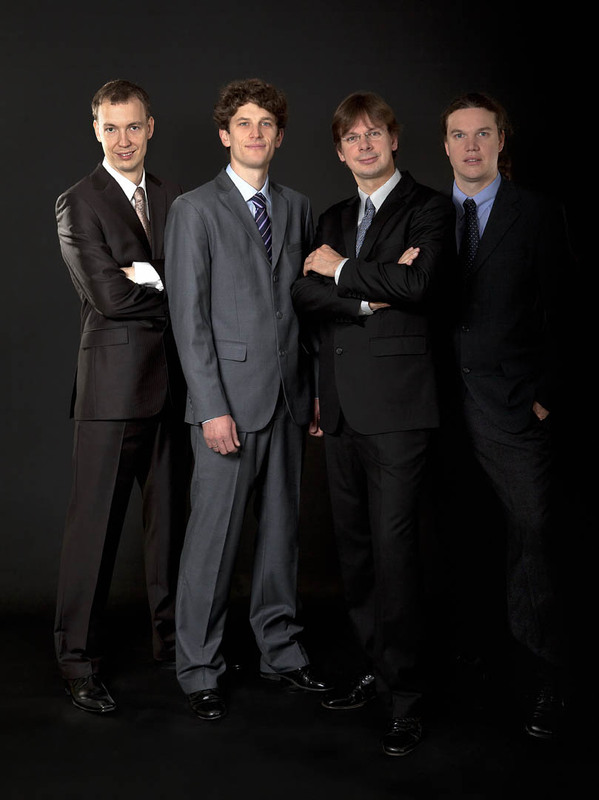 Based in the Czech Republic, the quartet performs in an Olin Arts Alive presentation. Admission: $12, available at batestickets.com. Free tickets are available to the first 100 seniors and students by advance reservation: 207-786-6163. FMI olinarts@bates.edu. 7:30pm | 359° (see April 5). 7:30pm | Slavic Soul Party! 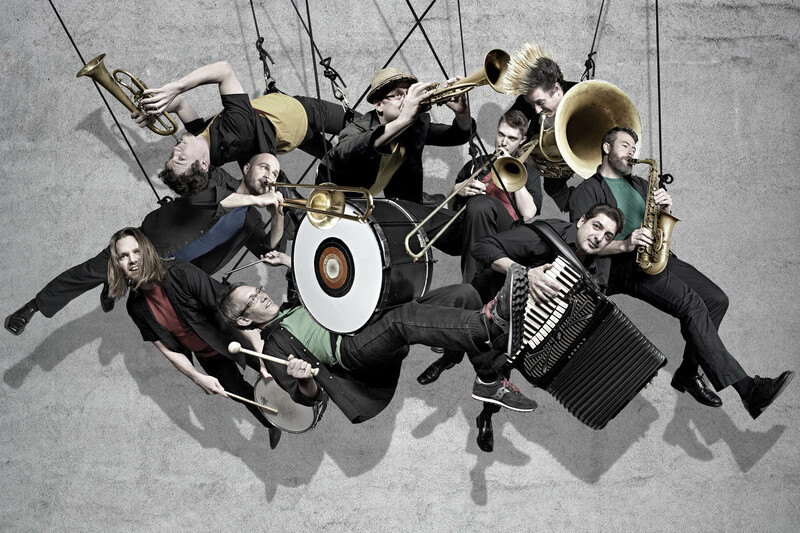 Olin Arts Alive presents a nine-piece band from New York that offers funk grooves, fiery Balkan brass, accordion wizardry and virtuoso jazz chops. Admission: $12, available at batestickets.com. Free tickets are available to the first 50 seniors and students by advance reservation: 207-786-6163. FMI olinarts@bates.edu. 2 & 4:30pm | Silver Linings Playbook (see April 5). 5:30pm | Protestant worship (see March 31). Chiharu Naruse and Dean Stein. Photograph by Michael Bradley/Bates College. 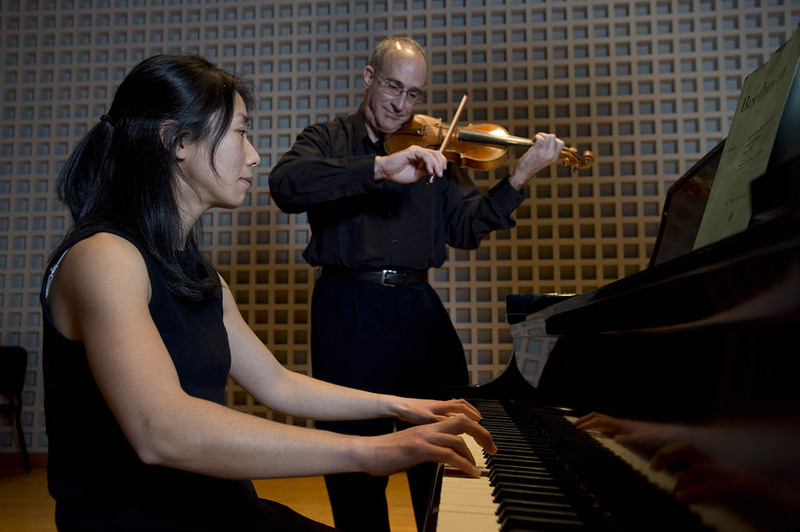 7:30pm | Beethoven sonatas: Violinist Dean Stein and pianist Chiharu Naruse complete their series with the “Kreutzer” sonata, the No. 2 in A major (Op. 12, No. 2) and the No. 3 in E-flat major (Op. 12, No. 3). Admission: $10, available at batestickets.com. Free tickets are available to the first 50 seniors and students by advance reservation at olinarts@bates.edu. FMI 207-786-6135. Noon | Softball vs. Wesleyan (doubleheader). 2pm | Women’s tennis vs. Trinity. 1pm | Softball: Alumnae Game. 3:30pm | Softball vs. Maine-Farmington (doubleheader). 4pm | Baseball vs. Gordon. 5pm | Women’s lacrosse vs. Southern Maine. 5:30pm | Protestant worship (see March 31). FMI 207-786-8272. 3:30pm | Softball vs. Fisher (doubleheader). 3pm | Baseball vs. Maine-Farmington. 6:30pm | Men’s tennis vs. Bowdoin. 7:30pm | Violist Jessica Cooper performs in a senior thesis concert. FMI 207-786-6135 or olinarts@bates.edu. 4pm | Softball vs. Trinity. 7:30pm | Daniel Chong and Frank Glazer. The violinist and pianist in an Olin Arts Alive concert. Admission: $12, available at batestickets.com. Free tickets are available to the first 50 students or seniors: 207-786-6163. FMI olinarts@bates.edu. 8pm | Requiem composed and performed in a senior thesis recital by Miles Isacke. FMI 207-786-6135 or olinarts@bates.edu. 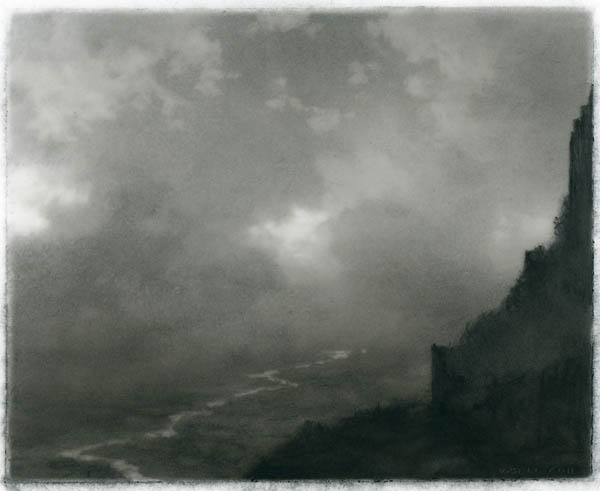 “Citadel Ruin” (2010), a drawing in charcoal on Mylar by Dozier Bell, on display at the Museum of Art. Courtesy of Aucocisco Galleries, Portland, Maine. 11am | Men’s tennis vs. Trinity. Noon | Softball vs. Trinity (doubleheader). 4pm | Women’s tennis vs. Tufts. 10am | Men’s tennis vs. Wesleyan. 2pm | Women’s tennis vs. Wesleyan. Annual Senior Exhibition: Culminating their yearlong thesis project, studio art majors Eleanor Anaclerio, Erin Augulewicz, Isaac Thompson and Amanda Wescott present work in a variety of media. Dozier Bell: Mind’s Eye: Bell’s small, powerful recent graphite drawings embody the force of nature. They depict mysterious cloud-covered mountains, fog-shrouded craggy fingers of land jutting into the ocean and fragmented skylines in the low light of dawn or dusk. Selections From the Permanent Collection: Recent Acquisitions: Works historical and contemporary represent a wide variety of media and subject matter. 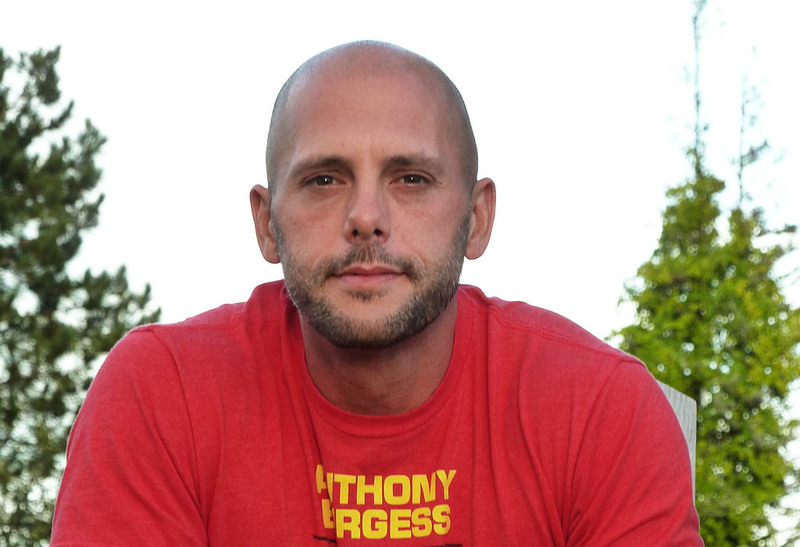 Artists with Maine connections include Marsden Hartley, William Manning, Charlie Hewitt and Andrew Wyeth. Others represented include Odilon Redon, Enrique Chagoya and Beth Van Hoesen. Helping to create the exhibition were curatorial interns Cara Garcia-Bou ’13 and Nell Wachsberger ’13.